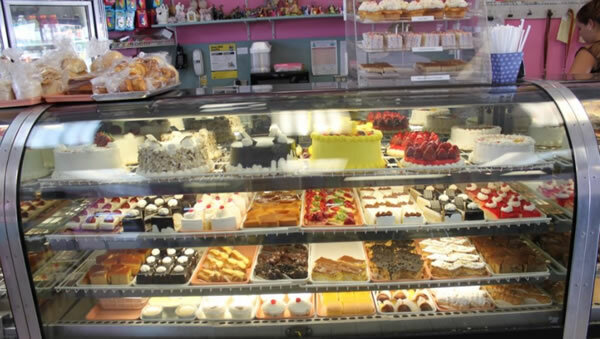 New Florida Bakery Inc is located in little Haiti in Miami. They serve the best patties and Haitian bread in Miami. The food you get here is always fresh and its taste takes you back to Haiti instantly. They serve patties in different flavors like chicken, beef, smoked herring, ground turkey and codfish with good levels of spiciness. Haitian breads are similar to Cuban breads but they are denser and amazingly delicate. Never miss to taste their 'pates' or Pah-tays (as they pronounce). 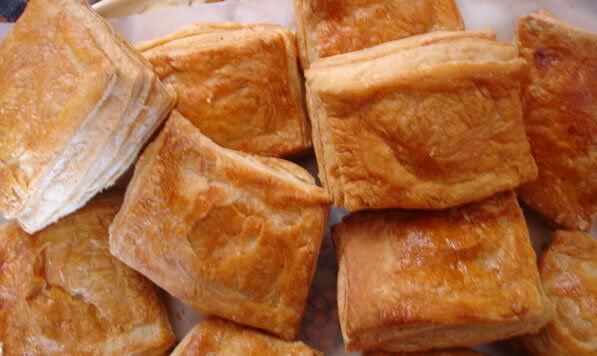 It is the Haitian equivalent of pastelitos made of puff pastry and comes in lobster, beef, smoked herring, and ground turkey or codfish filling (ask for morue). 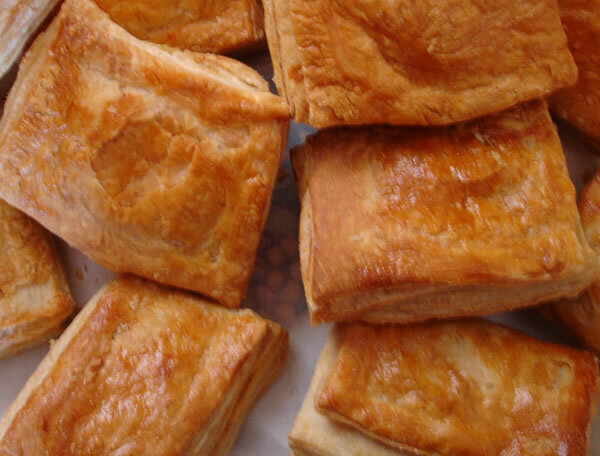 Beef and Lobster pastelitos are fresh, warm, and flaky with delicious spicy minced beef or lobster feelings ($1 each). The fillings are pounded to form a smooth paste that is seasoned with garlic, a pinch of cloves, thyme, and a tingle of heat from just the right amount of scotch bonnet peppers (piman bouk). Haitian cuisine is simple and unpretentious and at the same time it is bold and spicy. Haitian patty is an area of cross-cultural cuisine fusion that demonstrates typical African culinary aesthetic paired with French sophistication. "Pah-tays" is an Anglicization of French word "patisserie" which simply means pastries. Cuban patties are famous for sweet fillings but Haitian patties are differently crust and exclusively savory. 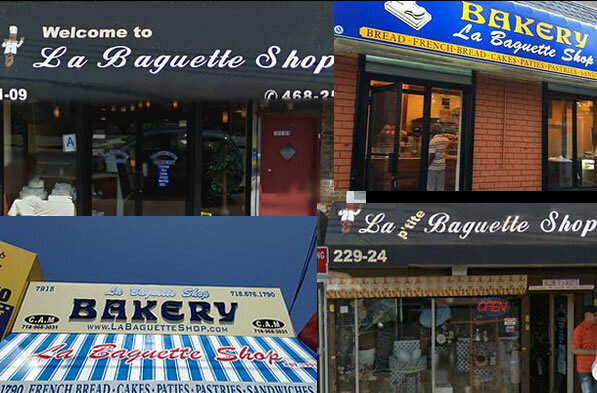 The staffs of New Florida Bakery are well conversant in English, French and Creole. They have a huge parking space. 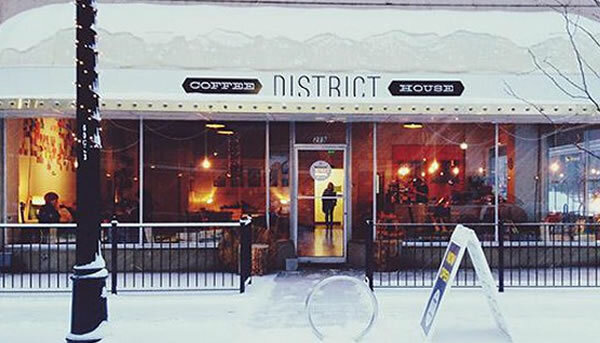 Come here with some extra time in our hand because there is always a line at the counter. It is a "Cash Only" shop where anything you buy is always fresh, perfect and inexpensive. 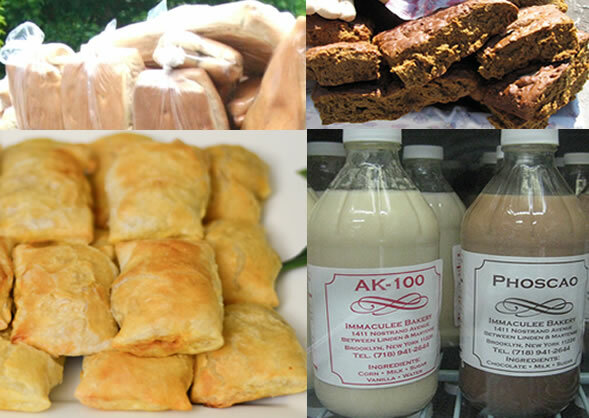 New Florida Bakery is a community institution, the golden standard in Haitian baked food for decades. It is a necessary stop for families after Sunday church because their patties are best when they are fresh out of the oven in the morning. 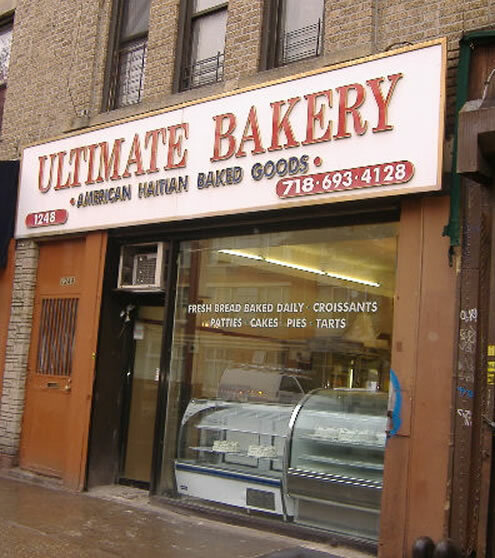 Flatbush's Ultimate Bakery, located at 1248 Flatbush Avenue, Brooklyn, offers the usual Haitian bakery items: light and fluffy white breads, cookies, pastries, and cakes. But it also sells a more hard-to-find item, mamba, Creole for peanut butter. Homemade on the premises, mamba has an extra ingredient added to it, chile. Mamba lovers say the kick the chile adds to the sweet and salty flavors is a sneak attack on the taste buds, not to be missed. 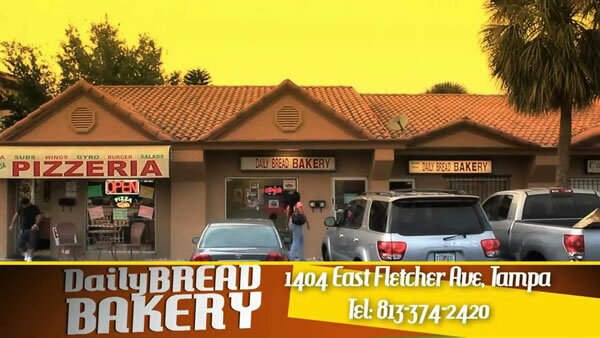 Daily Bread Bakery does not limit itself to baked breads, although they sell sought-after Haitian bread that satisfies the Diaspora's taste for their indigenous breads. 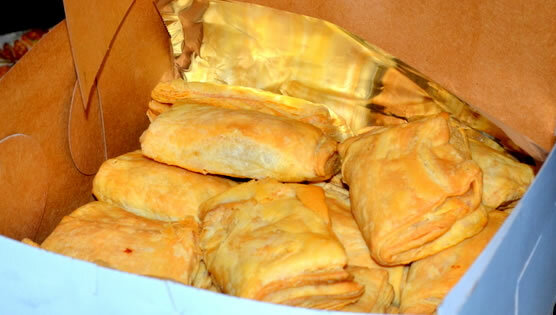 What really brings the Diaspora around are the Haitian patties, a puff pastry stuffed with a choice of ground beef, chicken, cod fish, or spinach. A single patty costs $1.00, but you get more bang for the buck when you purchase a dozen for $10.00. 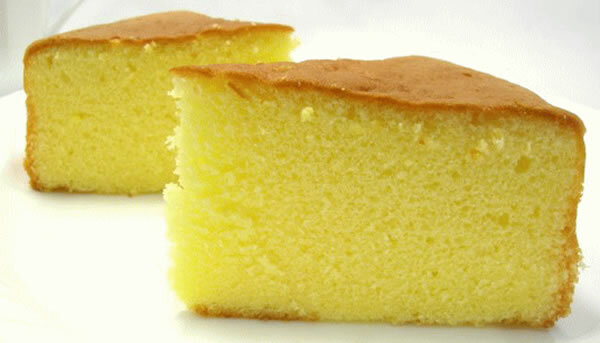 DBB also offers cakes, cookies, pies, and other confections.